Dr. Smain Femmam was born in Branis, Algeria. He received the Dipl?me d'Ingénieur en Electronique from National Institute of Electricity and Electronics of Algiers in June 1987 and the MS and Ph.D. degrees in Signal Processing and Computers from Versailles University France in 1997 and 1999 respectively, and since 2013 he is promoted to a rank of senior director of research (HDR) as Professor of Universities. Paris. He was a partial time professor of advanced communication systems at Ecole Central de Paris since 1999. He is the first holder of this Endowed research Chair. He was also the founder and co-Director of the Laboratoire d’Analyse et de Contr?le des Systèmes Complexes LACSC Paris until 2009. Dr. Femmam has been working in the field of Signal Processing for more than 25 years and has published over 80 journals and conferences papers in very prestigious journals, and served as a Guest Editor of Analog Integrated Circuits and Signal Processing journal (Springer) in 2010-2011. Salpétrière Hospital). The research is conducted in the the Laboratoire d’Analyse et de Contr?le de Systèmes Complexes LACSC Paris that Dr. Femmam co-founded. Dr. Femmam is within Polytechnic Engineering School since December 2009 and he founded the team of research in Signal and Safety Systems. He has developed graduate courses on: communication, signal processing, control, electronics systems, automatics, and robotics. He has supported several graduate students and supervised MS theses and Ph.D. dissertations to completion. He also serves on Advising and Examining Committees of Graduate Students in the College of Engineering Ecole Central de Paris until 2009. Dr. Femmam is within Polytechnic Engineering School since December 2009 as a co-director of research and responsible of virtual reality project option and he is the head of automatics and robotics courses and the workbench NAO project. He has given invited talks and conference plenary sessions in the France and abroad. He has been invited and participated in several sponsored workshops on Communication and signal processsing. He chaired session on the signal processing. He also served on several review panels. 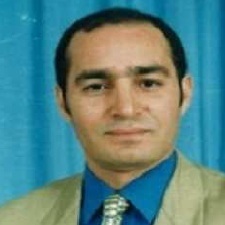 Dr. Femmam is a Senior member of IEEE, SEE, and a member of IASTED and GDR ISIS. He received the Financial BGF Section Outstanding Young Faculty Award in 1987 from INELEC, Financial leadership Award in 1992 from University of Biskra, Outstanding Researcher Award in 1999 from UVSQ France, Outstanding Graduate Teacher Award in 1991. Financial research awards from the Polytechnic Engineering School in France. He is Editorial board of Network and Communication Technologies Journal since 2011, and Editorial Board of Advances in Engineering & Technology Journal since 2010, and served as a Guest Editor of Analog Integrated Circuits and Signal Processing journal (Springer) in 2010-2011.